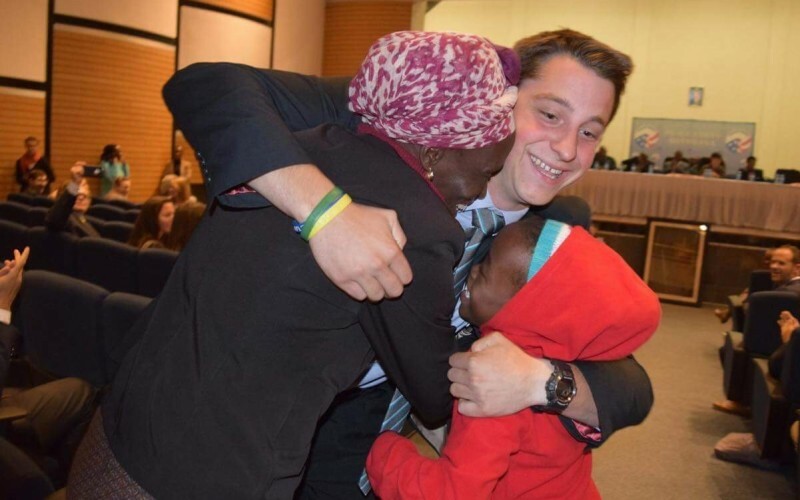 Castleton graduate Isaac Devoid ‘17 is taking his volunteer efforts to a more global level as he begins a two-year of volunteer service for the Peace Corps. 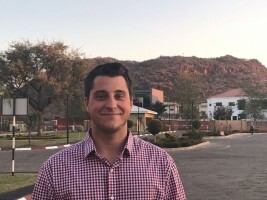 Originally from Saint Albans, Vermont, the Business Administration alumni will be traveling to Botswana as a health volunteer where he will live and work in a local community to support HIV/AIDS prevention and response. The Peace Corps is a volunteer program established in 1961 by President John F. Kennedy, which sends Americans with a passion for service abroad to work with communities and create lasting change on behalf of the United States. Their volunteers develop sustainable solutions to address challenges in education, health, economic development, agriculture, and youth development. Devoid will be joining the ranks of more than 185 other Peace Corps volunteers currently working in Botswana’s communities on projects in youth development and heath. He will learn to speak many local languages and will work alongside the local people and partner organizations on sustainable, community-based development projects that improve the lives of people in Botswana, all while helping the Castleton alumni develop leadership, technical and cross-cultural skills. “I'm really excited to experience a completely new culture. The people of Botswana live much differently than those of the U.S. and I am curious to see how they influence me,” he said. Before being sworn into service and assigned to a location in Botswana, Devoid will first live with a host family to fully acquire the skills necessary to prepare himself and help his community by becoming fully immersed in the country’s language and culture. After his Peace Corps experience he plans to continue his education and attend law school to study immigration law.